Tue., May 16, 2017, 8:02 a.m.
Kawhi Leonard will miss Game 2 of the Western Conference finals with an ankle sprain, though the San Antonio Spurs’ MVP candidate has already made it back from the injury once this postseason. Ankle injuries in basketball are not uncommon, at any level. But when you’re one of the best players in the league, playing on the NBA’s postseason stage against the league’s best team, it becomes a big deal. 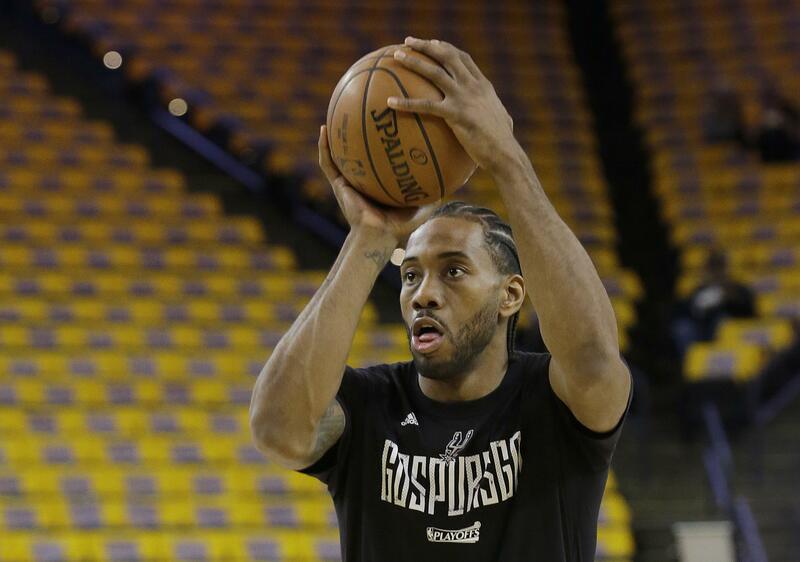 Add in how some are questioning (see Spurs coach Gregg Popovich ) whether Leonard was injured by a dirty play in the series opener Sunday against the Golden State Warriors, and it’s even bigger. Still, none of that changes the uphill challenge Leonard faces getting back on the court again. He returned after missing the close-out game against Houston last week and looked fine in the opener against the Warriors until he re-injured his ankle. While it’s difficult to make such a quick recovery from a sprained ankle, history shows it can be done. Here’s a look at some other players who have suffered sprained ankles and still were able to perform well in previous NBA playoff series or NCAA Tournaments. Thomas’ effort in Game 6 of the 1988 NBA Final against the Los Angeles Lakers likely goes down as the most memorable performance with a sprained ankle, even though it came in a losing cause. Thomas severely sprained his ankle yet still had 43 points, eight assists and six steals in the Detroit Pistons’ 103-102 loss to the Los Angeles Lakers. Thomas scored 25 points in the third quarter alone . He came back two nights later and played 28 minutes and scored 10 points in the Pistons’ 108-105 loss. Cleaves sprained his ankle early in the second half of Michigan State’s 2000 NCAA championship game matchup with Florida. He returned to the game with the ankle heavily taped and ended up with 18 points as the Spartans beat the Gators 89-76. Bryant sprained his left ankle in Game 2 of the NBA Finals. The injury caused him to miss Game 3, but he returned for Game 4 and scored 28 points to help the Lakers beat the Indiana Pacers 120-118 in overtime. The victory gave the Lakers a 3-1 lead in a series they eventually won in six games. Bryant proved particularly valuable in helping the Lakers survive in overtime after teammate Shaquille O’Neal fouled out. Curry withstood a sprained left ankle to collect 29 points and 11 assists as the Golden State Warriors edged the Denver Nuggets 110-108 to take a 2-1 series lead in the first round of the 2013 Western Conference playoffs. The Warriors won the series in six games before losing to San Antonio in the conference semifinals. Thomas sprained his left ankle last season when the Celtics lost 110-83 to the Atlanta Hawks in Game 5 of an Eastern Conference first-round series, but he returned two nights later to play in Game 6 as Boston tried to avoid elimination. Thomas scored 25 points in Game 6, though Atlanta wrapped up the series with a 104-92 victory. Berry was dealing with injuries to both of his ankles when he helped North Carolina win the NCAA Tournament this year. Even with his ankles bothering him, Berry scored a game-high 22 points to go along with six assists as the Tar Heels defeated Gonzaga 71-65 in the NCAA championship game. Published: May 16, 2017, 8:02 a.m.